Congratulations to all our award winners. 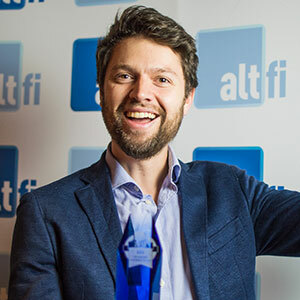 For our fourth edition of the awards, we saw two exciting new categories enter the judging arena: "Digital Bank of the Year", which was won by Monzo, and "Digital Wealth Manager of the Year", which went to ETFMatic. 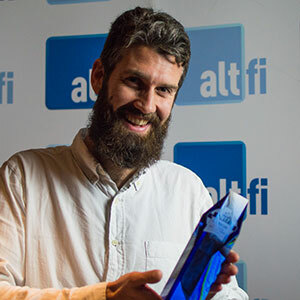 The majority of the awards were judged by panels of independent experts, and we at AltFi would like to extend a big thank you to those who participated. Peer-to-peer lender Funding Circle took home three awards this year, including the coveted "Editor’s Choice" award. LendInvest won twice, scoring "Alternative Finance Platform of the Year" and the "One To Watch" award. The “People’s Choice” award went yet again to Latvian lender Mintos, after receiving the most votes in the poll. 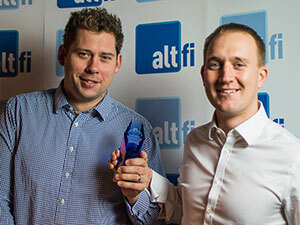 Staying true to our namesake, the 2017 AltFi Awards Winners’ Evening took place on January 17th at the unconventional darts venue Flight Club in Bloomsbury. Victors from across 20 categories celebrated their wins in style, with a darts tournament, pizza boards, and drinks flowing freely. The night began with a short State of the Union address from our executive director David Stevenson. William Clutterbuck, Vice Chairman of our sponsor Maitland, also gave a special toast, laying out his predictions for the industry as we look ahead for the upcoming year. Special congratulations go to Gordon Thomson from RSM, our darts champion of the night! Photos of the winnerfrom the night can be found below, with a special thanks to Maitland for helping make the night possible. Before you scroll down to check out the winners, we wish to extend our thanks to our panel of judges, the applicants and last but not least, our readers for taking part in the People’s Choice Award. 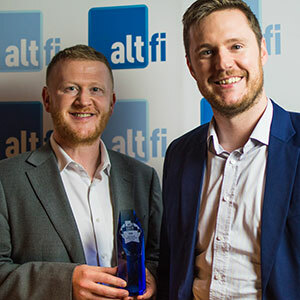 Awarded to crowdfunding, peer-to-peer lending and invoice finance platforms who have driven innovation, delivered an excellent investor experience and have grown significantly in the past 12 months. Awarded to consumer facing peer-to-peer lending platforms that have driven innovation, delivered an excellent investor experience, and have grown significantly in the past 12 months. Awarded to SME facing peer-to-peer lending platforms that have driven innovation, delivered an excellent investor experience, and have grown significantly in the past 12 months. Awarded to direct lending platforms that have driven innovation, delivered an excellent investor experience, and have grown significantly in the past 12 months. Awarded to equity crowdfunding platforms that have driven innovation, delivered an excellent investor experience, and have grown significantly in the past 12 months. 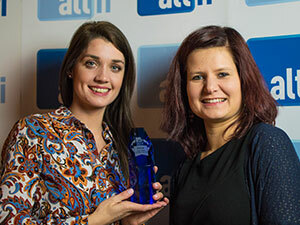 Awarded to PR/Marketing firms, or platform departments, who have run campaigns that have had a significant impact on an alternative lender this year. Awarded to consulting, accountancy, investment and corporate advisory firms that have had the greatest impact on the alternative finance market in 2017. Awarded to the legal advisory firms that have had the greatest impact on the alternative finance market in 2017. 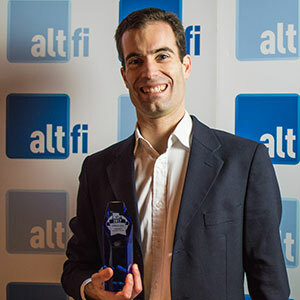 AltFi readers will cast a vote for their favorite alternative finance platform. 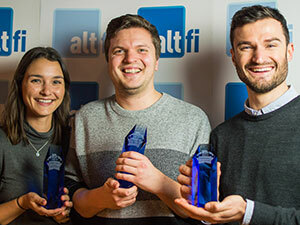 AltFi team members will vote for the platform that has had the greatest impact on the industry in 2017. 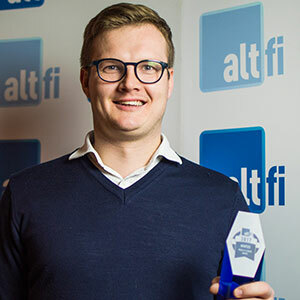 AltFi Data will select the platform that has delivered the best clarity of data in 2017. Awarded to platforms that have delivered the most innovative product in 2017. Awarded to the most innovative crowdfunding campaigns of 2017. Awarded to the alternative finance fund structure that is deemed by our judges to have achieved the best level of "performance" over the past 12 months. "Performance" will be based upon multiple factors, including the fund's ability to provide superior risk-adjusted returns to its investors, its ability to attract investor capital, positive media publicity, and overall impact on the sector. Awarded to an individual that has had the greatest impact on the industry in 2017. 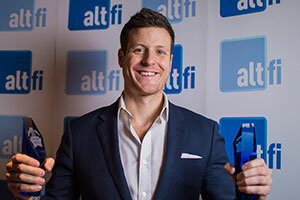 Nominations will be accepted on the AltFi home page and the winner will be selected by our expert panel of judges. 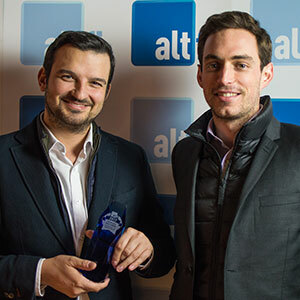 Awarded to platforms that are showing the most potential for the coming year in terms of growth and market impact. Awarded to the platform that best serves as an aggregator, to either the investment or capital raising community, in 2017.